Handel’s enduring masterpiece continues to be the absolute favourite amongst concert audiences. The glories of the Hallelujah Chorus, the Amen Chorus and many others are surrounded by solo arias of exquisite beauty and refinement. The London Handel Orchestra, one of the main professional specialist orchestras for music of this period, will accompany a group of high-class soloists. Canterbury Choral Society and its Youth Choir will provide the great choral backdrop. 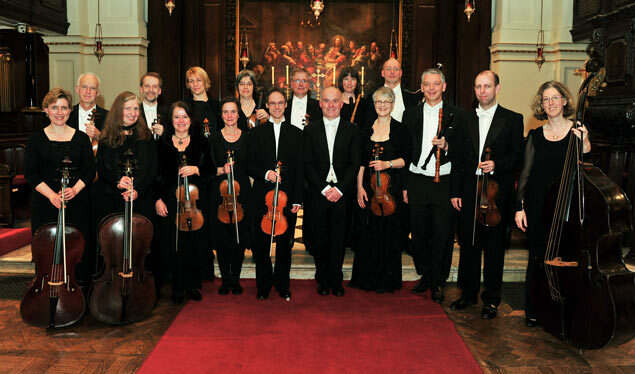 The London Handel Orchestra was formed in 1981 by Denys Darlow to perform at the annual London Handel Festival. The orchestra is made up of some of London’s finest period instrument players. Today it is directed by Adrian Butterfield and Laurence Cummings. It has gained an excellent reputation for historically informed performance and contributed greatly to the revival of interest in Handel’s music. The orchestra appears throughout the Festival at venues including St George’s, Hanover Square, Handel’s own church, St John’s Smith Square and Wigmore Hall. It has now performed the great majority of Handel’s operas, oratorios and orchestral works as well as numerous works by his contemporaries. The orchestra also gives concerts across the country and abroad outside the Festival period. It has appeared at the Chelsea, Windsor, Three Choirs and Oslo Church Music Festivals and at the Barber Institute.